In most states, typed wills must be signed by the person making the will, known as the testator, in the presence of at least two witnesses. When the testator passes away, the will ordinarily must be submitted to the probate court to be "proved," or declared valid, before property can be distributed according to its terms. This is typically done through oral testimony or a sworn affidavit from one or both of the subscribing witnesses affirming that the will was executed according to state law. If all of the witnesses are either deceased or cannot be located, it can be difficult to ascertain whether the will is authentic. For this reason, many states will consider a will valid without testimony of the witnesses if a self-proving affidavit was made at the time the will was signed. This affidavit is signed by the witnesses and testator in the presence of a notary, attesting that the will was valid on the date that it was executed. If the testator did not attach a self-proving affidavit, and the witnesses cannot be found, a court may still have some options short of invalidating the will. For example, some states presume that a will was validly executed if the process was supervised by an attorney. However, this presumption can always be overcome, which might be the case if the person objecting to the validity of the will presents compelling evidence that the witness signatures were forged. In many states, wills that were drafted in the testator's own handwriting do not require witnesses. 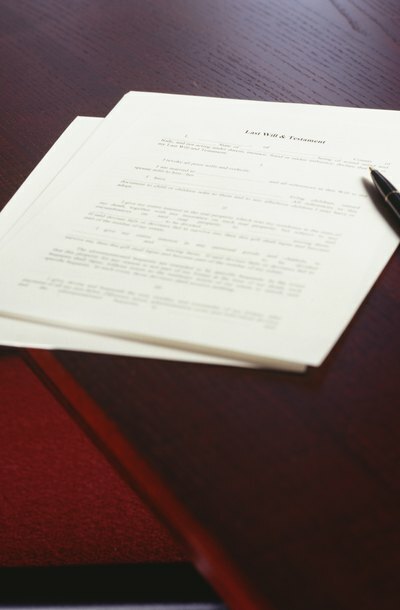 These are known as holographic wills; to be considered valid, the court must see that the testator's handwriting matches the handwriting contained in the will. This could be done by comparing other known writings of the deceased or through the testimony of someone close to the testator, such as a spouse or sibling. Rania Combs: What Are the Requirements of a Valid Will in Texas? Rania Combs: What is a Self-Proving Affidavit?